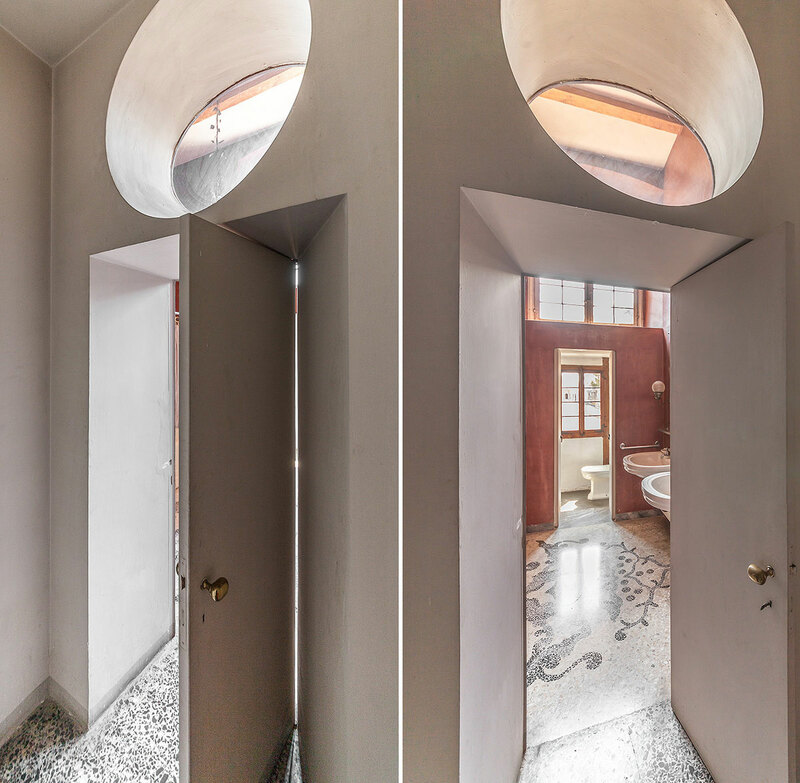 17th Century Villa San Valerio Albiate, Italy with a 1950s intervention by Luigi Caccia Dominioni. Let’s take a step back in time and visit this gem that is altogether grandiose, elaborate and unique. 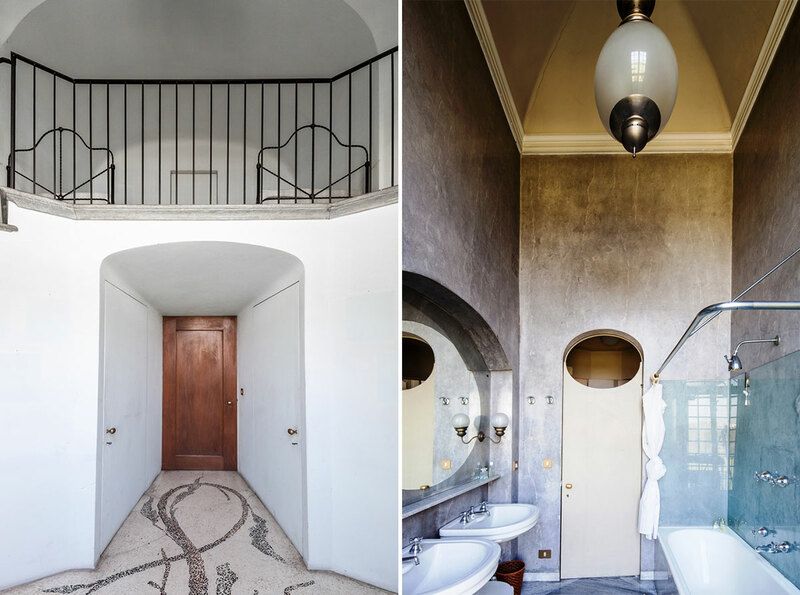 Behold this beauty tucked away in Albiate, Italy – Villa San Valerio. 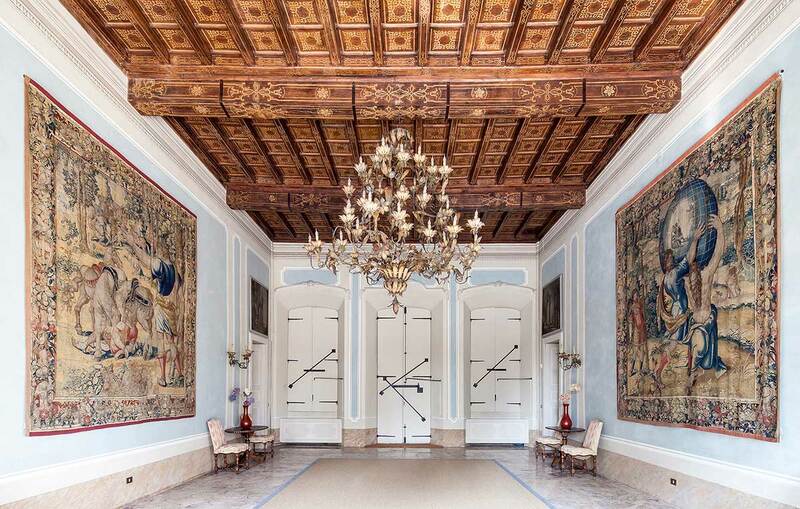 This villa is one of the finest examples Lombard-baroque styles and reflects four centuries of history. 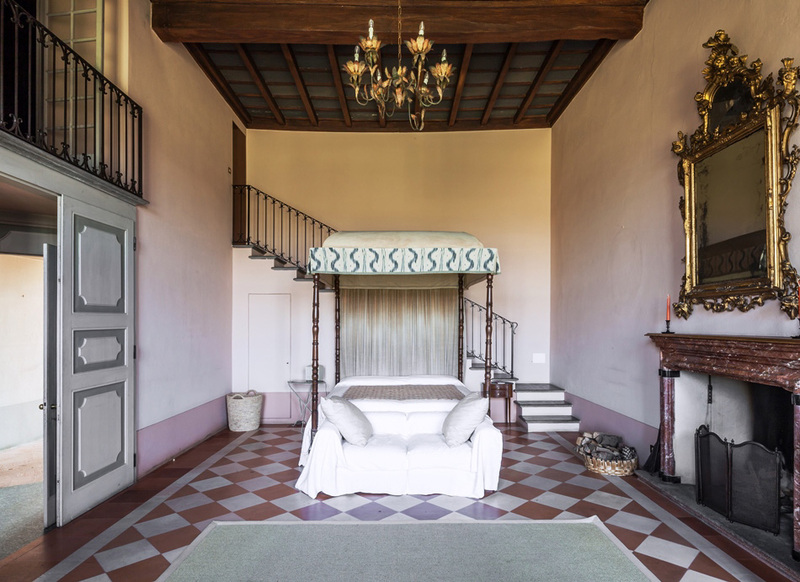 Originally owned and constructed by the Airoldi family in 1640, the villa has undergone many transformations, renovations and additions. 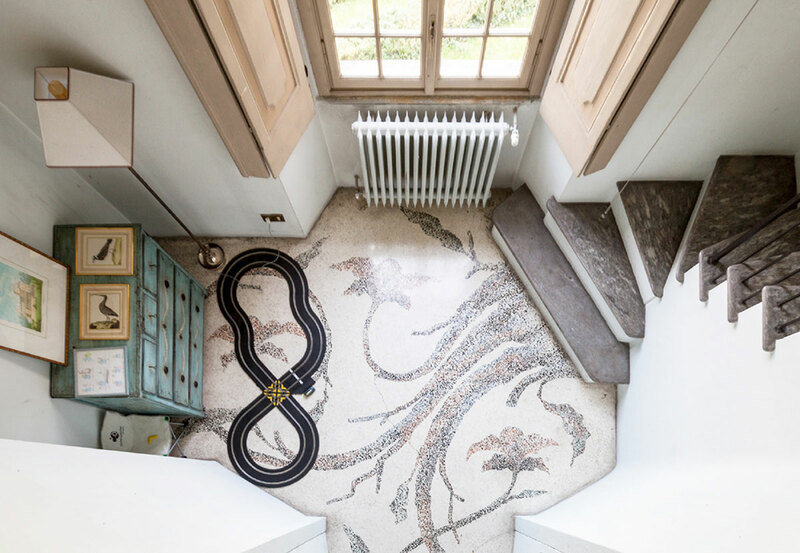 In the 19th century the Airoldi family sold the villa to the Caprotti family who oversaw the villa’s most significant intervention by Milanese architect in the 1950s. 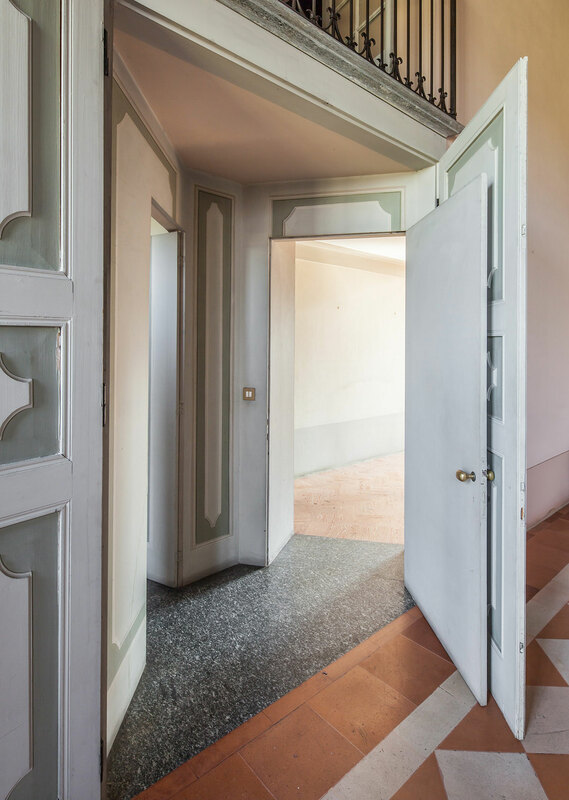 The villa is divided into two parts: the main building which houses the living spaces and an eastern wing that’s equipped with service rooms. Externally the four facades of the main building are virtually identical with a simple yet austere window sequence that’s quite rigid in its symmetry. 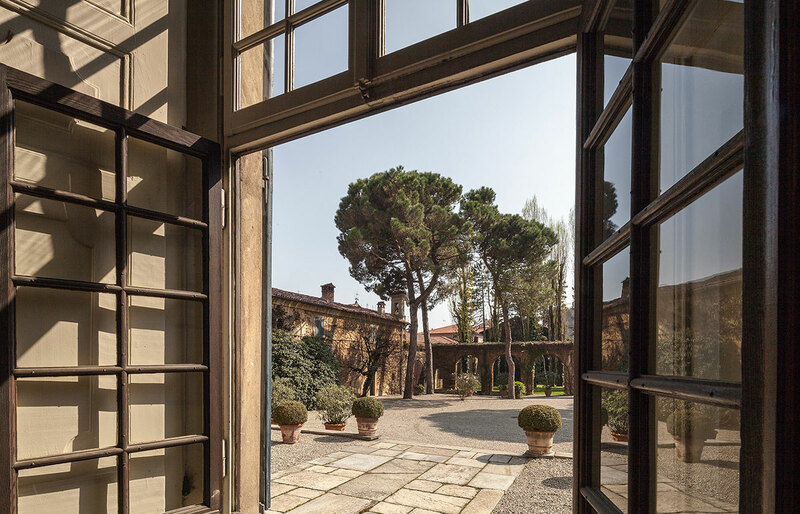 There is a sense of compression as the windows become more concentrated toward the central axis to highlight the entrance and the grand hall within. Supremely situated, the villa enjoys breathtaking views in all directions. 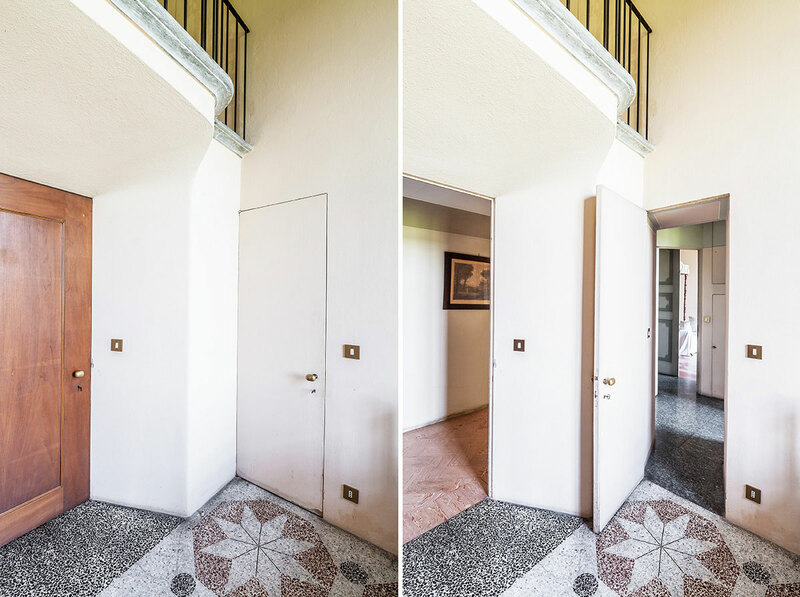 It’s a tough choice between the Brianza hillside, Albiate town centre, manicured gardens and the river Lambro nearby. 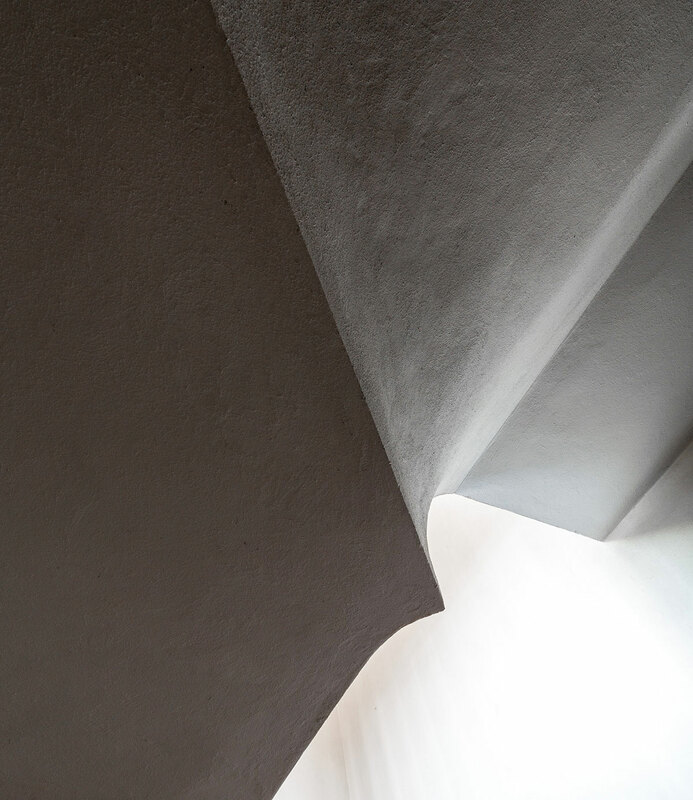 If you think the villa is breathtaking from the outside, take a peep inside and try not to lose it. 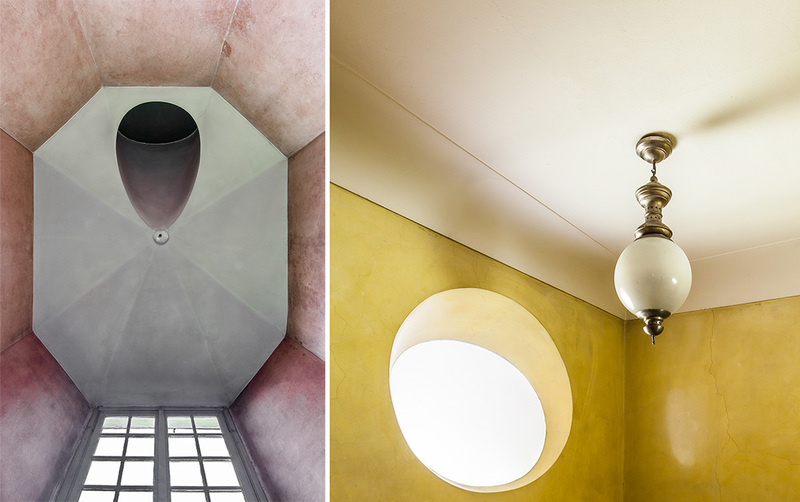 Here’s what’s in store: grey and pink marble floors, terrazzo tiles, brightly coloured stucco walls and 5 meter high wooden coiffered ceilings! Then there are the bathroom spaces which are out of control. Clearly we need more pink and yellow bathrooms, am I right? It’s sensory overload from floor to ceiling, but the real ingenuity is in the sophisticated spatial layout. 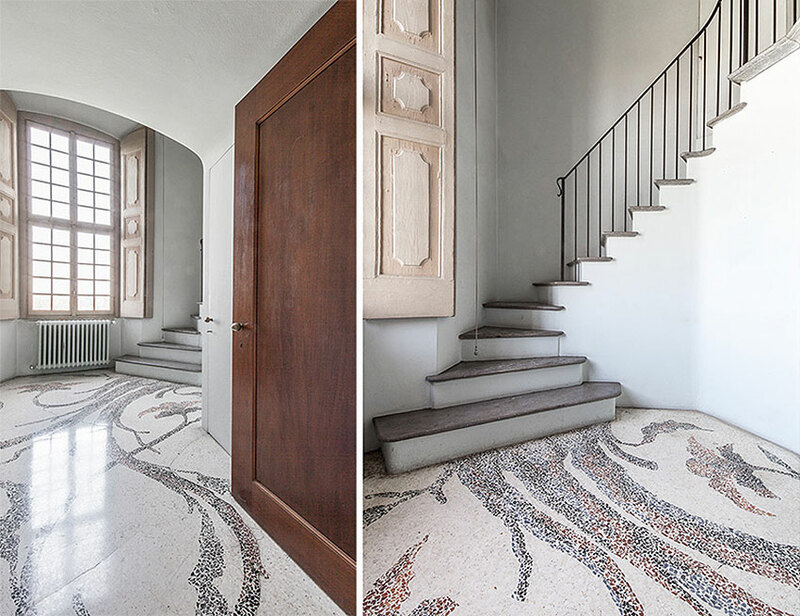 Caccia Dominioni reinvents the baroque space by introducing a new composition that connects major rooms. 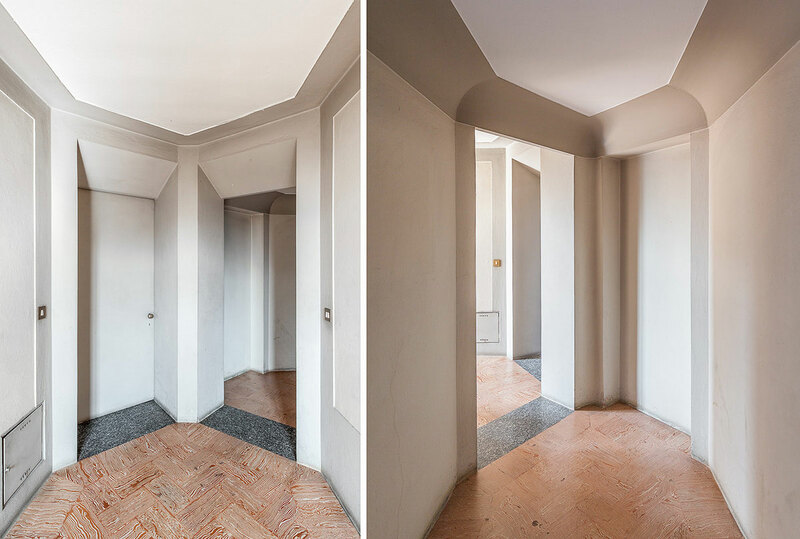 This composition is a series of intermediary spaces and elaborate doorways that divide and connect these unconventionally shaped areas. 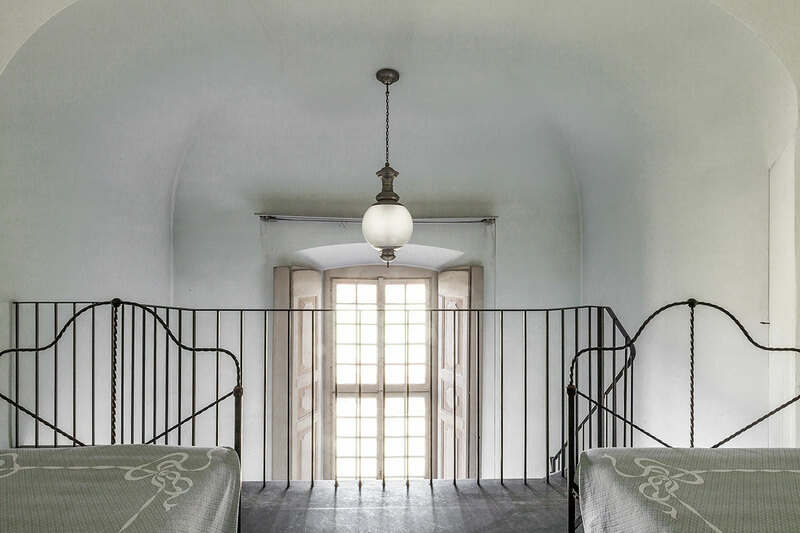 The enfilade of doorways gives you a sense of the light and shade that fills these spaces. 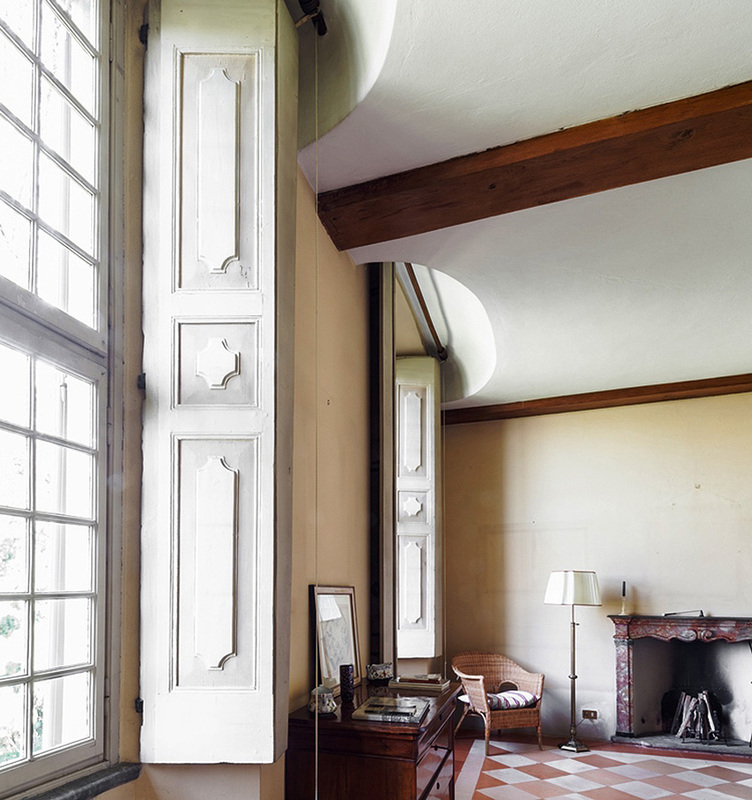 Caccia Dominioni’s architectural contribution sought to redesign and reinterpret the original 18th century interiors. 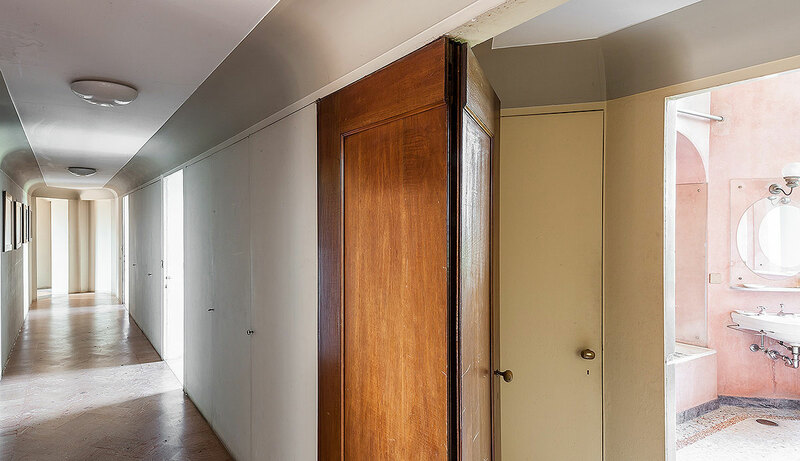 Rather than introduce a clear distinction between old and new, he opted for a slight detachment that created additions without the loss of continuity. 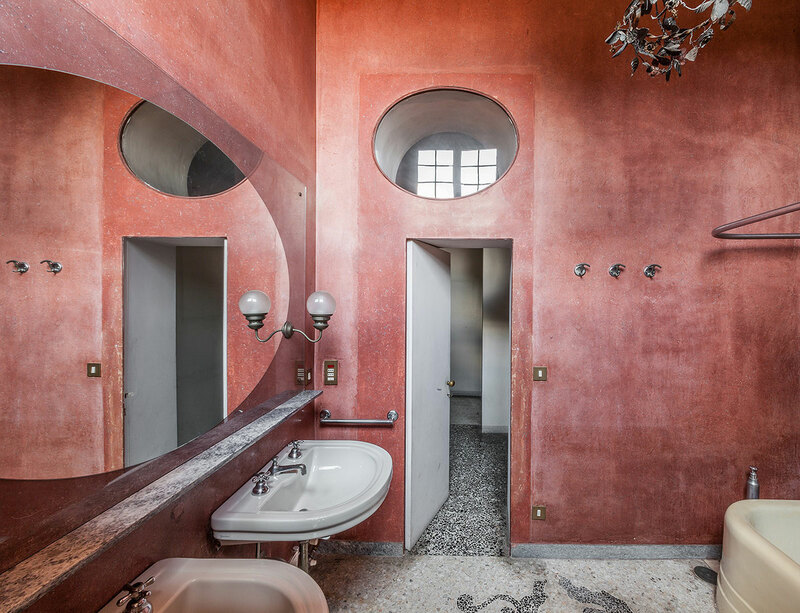 I have extreme love for this villa and extreme jealously of the Caprotti family who still reside within its wondrous walls. Lucky for us . Put it on your bucket list and I’ll see you there! Marcin Rusak’s ‘Flora’ Collection Made from Real Flowers Encased in Resin. Wes Seating Collection by Tom Fereday for Zenith.